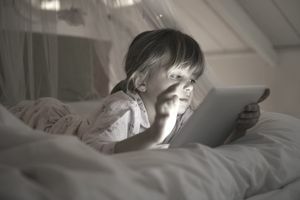 Children’s books are one of the most enjoyable and profitable niches an aspiring author can write in and it's one of the most popular ways to make money online. In our fast-paced world where online content is frequently of inferior quality, parents are desperately searching for real material that can entertain and educate their youngsters. Consumers of children’s books are fiercely loyal to authors they like. Therefore, you can start publishing good quality children's books on the Amazon Kindle platform and build a loyal following who will buy multiple books over and over again. While there are may ways to make money publishing digital information products online, in this article we'll focus exclusively on the Amazon Kindle marketplace. There are other platforms for publishing children's books, but you can’t go wrong with Amazon’s Kindle Direct Publishing (KDP) system. You can gain access to the lucrative Kindle device market, without having to find a publishing agent or publishing house to back your efforts. Amazon Kindle makes it easy to convert your manuscript into e-books and sell them in the Amazon Kindle Store to millions of eager readers worldwide. Not only that, but it's easy to convert your book into a print version and sell print books on demand, avoiding the need to spend money buying inventory and running the risk of having print books going unsold. Publishing books through Amazon really is one of the lowest risk methods of starting an online business. You will need to download Kindle’s Kids’ Book Creator software to help you create the illustrated kids books that are in demand today. Choose either the PC or Mac version. The manuscript itself can be written in several editors, although Microsoft Word is most recommended for formatting your document for Kindle (.doc/.docx files). KDP relieves you from having to use complex conversion tools to get everything Kindle ready. Please refer to my article, How to Write Children's Books on Kindle for Fun and Profit for more manuscript preparation hints and details. Amazon is constantly introducing new tools and methods of uploading your book to their platform to minimize the technology barriers and allows you to focus solely on creating good content. Once you have completed your final editing and have proofread your book, sign into Amazon KDP to enter your publishing details. If you have not opened an Amazon account yet, please do so now, and then search for ‘Kindle Direct Publishing’ to get started. It's free to do, and very easy to set up your account. If you have an existing Amazon account as a consumer you can use the same login credentials. You’ll be prompted to enter mandatory book-specific information like book title and author name, but other details are optional. Amazon’s Age and Grade tools – specific to Amazon.com and Amazon.com.uk – will help readers find your books faster. For example, the “Baby to Age 2” setting will set board books as the most suitable, “Ages 3-5/Preschool” would be picture books, and “Ages 6-8/Kindergarten-2nd grade” would favor early, leveled readers and first chapter books. In addition, KDP’s Cover Creator tool allows you to design and create your cover page if you do not already have one. With Cover Creator, you are free to upload and use your own images, or access KDP’s large gallery of stock images. You will also maintain full font and layout control of the cover. Editor's Note: I highly recommend having a cover professionally designed from someone with experience in designing book covers for Amazon Kindle. Having a professionally made book cover can be the difference between huge success and dismal failure of your book. People truly do judge your book by its cover. Take advantage of Amazon’s famous set of book selling widgets that you’ve been seeing all these years! Gain access to powerful merchandising tools like Kindle Countdown Deals and Free Book Promotions for your children’s books. Earn shares of the KDP Select Global Fund when online readers select your children’s books and read over 10% of any of your books from Kindle Unlimited (paid subscription program in U.S. only as of writing), or borrow your book from the Kindle Owners’ Lending Library. You can also earn a 70% royalty for sales to customers in Japan, India, Brazil and Mexico instead of the standard 35%. Even people who borrow your illustrated children’s book through the Kindle Library will put money in your pocket! Your reputation will grow quicker and make readers anticipate your next work all that much more. Kindle Countdown Deals (time-limited promotional discounting of your children’s book while earning royalties). Amazon’s Free Book Promotion where readers throughout the world can access book free for a limited time. In case you’re wondering, “free” does work! You might be wondering, "Why would I give away my book for free?". There are two reasons you may want to consider doing a free promotion. Your free book will get a significant amount of downloads which can lead to more books reviews. More positive book reviews can help increase sales of your book after the free book promotion. Having a large amount of initial downloads can help get your book into Amazon's "ranking system" and help your book get found more easily after the free book promotion period. There's never been a better time for aspiring children's books authors to publish a book and reach a large audience. As you build and grow your publishing business you may want to consider publishing on other platforms and distribution channels; and also consider going the route of seeking out a traditional publisher - but getting started with Amazon Kindle Direct Publishing is a great place to get started. As mentioned earlier, in addition to selling books on the Amazon platform, you want to also create and sell your own ebooks online.